Give your eyes the catwalk look, with Max Factor False Lash 24 Hour Mascara. If there is a problem, we will help you solve it. 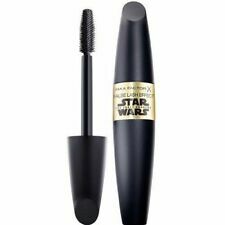 Max Factor False Lash Effect Star Wars Black Mascara. Give your eyes the catwalk look, with the limited edition Max Factor False Lash Effect Star Wars Mascara. Shade: Black. Beautifully evens out skin tone and blends away imperfections. Colour #75 Golden. We will always do our best to resolve any issues. Genuine & Authentic. Color: 30 Porcelain. Foundation Serum. Corset look. We will always do our best to resolve any issues. Genuine & Authentic. Easy to intensify with buildable, rich colour. 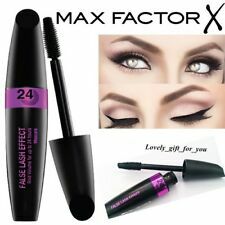 Max Factor False Lash Effect Black Mascara. Give your eyes the catwalk look, with the limited edition Max Factor False Lash Effect Star Wars Mascara. The unique all-in-one Miracle Touch Foundation from Max Factor has a solid-to-liquid formula to give you a flawless base with one easy application. Suitable for all skin types, Miracle Touch is a complete base in one step with no need for concealer and powder. "Marilyn Monroe" Collection. Shade : Ruby Red. New & Sealed. 19 shades-Rapid delivery - cut-off time 7pm! No need for a lash curler anymore. Colour Black/Brown. We will always do our best to resolve any issues. Great Price & Value. WHY BUY FROM US?. Genuine & Authentic.